BEST Poultry Technology is an Italian company based in Verona. 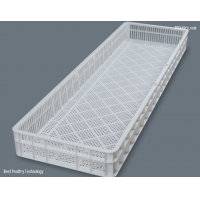 We produce solution for hatcheries, in the form of several types of setter trays, hatcher baskets and chick boxes, compatible with different types of incubation machines (Petersime, Jamesway, Chick Master, Pas Reform, Buckeye, etc…). Actually, we sell our products in more than 50 countries all over the world in all 5 continents.